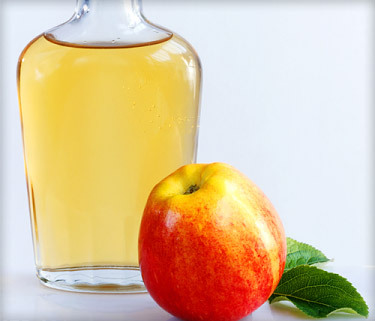 There are many health benefits apple cider vinegar can provide for you. With rich minerals, it will benefit you for skin, stomach, weight loss, etc. For over a thousand years, vinegar has been used for a multitude of reasons; as healing elixir for numerous ailment like fever, cough and colds, as antibiotic, natural detox cleansing agent, energizing drink, as preservative and condiment, antiseptic-disinfectant in cleansing wounds and instruments, for polishing armors, and even as a deodorant. There are different types of vinegar: balsamic, cane, cider, rice, wine vinegar, to name a few. All have acetic acid as their main ingredient which gives its characteristic sour taste. All are basically used as a cooking ingredient, each having its unique composition, characteristics and other uses. What separates apple cider vinegar from the rest? Apple cider vinegar is made from cider or apple must (Apfelmost) that has undergone fermentation, wherein bacteria and yeast convert sugar to alcohol and finally to acetic acid. It has a pale to amber color with a cloudy, cobweb-like substance, called ‘mother of vinegar' located at the bottom of the bottle. This mother is reported to contain beneficial enzymes and bacteria. Apple cider vinegar is rich in minerals, like potassium, sodium, chloride, phosphorus, calcium, and magnesium, and trace minerals, like, copper, fluorine, as well as vitamins A, B1, B2, B6, C, and E, bioflavonoids, and pectin. Presently, apple cider is used in food as salad dressing and in making pickles. It is a popularly used as a household product, for disinfecting and cleaning windows, kitchen surfaces, bathroom tiles, and glasses, for eliminating flies, and on pets to control fleas. But with so many health benefits of apple cider vinegar, it has also been used in dealing with the following conditions. Weight loss: This cider has been used in traditionally as a weight loss agent and studies have proven that indeed, it does! By a study conducted in 2006, obese Japanese reported a modest decrease in weight and decrease in appetite with intake of 30 ml of apple cider vinegar, leading to the conclusion that it might reduce obesity. Bad breath: Vinegar from apple cider can be used to relieve bad breath. Mix 15 ml of apple cider in one cup of water, then gargle for ten seconds. Body odor: To use as a deodorant, wipe the armpit with a cotton ball dipped in apple cider vinegar each morning. For foot odor, use ½ cup of apple cider vinegar and mix in a pan of warm water and soak the feet for about 15 minutes once a week. Acne: Apple cider kills bacteria, helps balance skin pH, and absorbs excessive oil from our skin. Use one part vinegar in 3-4 parts water. Apply to the skin using cotton swab and leave for ten minutes, then rinse. Use three times a day. For severe cases of acne, leave on the skin overnight. Cellulite: Topical application: Mix 3 parts apple cider vinegar with one part of your favorite massage oil and gently massage the affected skin two times a day. Oral preparation: Mix 2 tablespoons of apple cider vinegar into a glass of water. Add honey as sweetener. Drink every morning. Add 1 ½ cup apple cider into a bathtub filled with lukewarm water and then soak in it for about 20 minutes. This is done once a day for 3 days. After 3 days of soaking, make a mixture consisting of 1 ½ cup of water and 2 tablespoons of apple cider vinegar. This time use as a vaginal douche two times a day for 5 days. Constipation: Apple cider aids the body in promoting bowel movement. This action is due to pectin, a water-soluble fiber that adds bulk to stools and therefore promotes bowel movement. For an effective treatment of constipation, add 2 tablespoons of apple cider into a glass of water, and drink this mixture three times a day. Mix with apple juice or grape juice to make it more palatable. Diarrhea: The pectin content in apple cider makes it a great remedy for diarrhea, since it acts to coat the inflamed colon lining. It can be used by simply adding 2 tablespoons of the vinegar to some water in a large glass, which can be taken three times a day while symptoms occur. Diabetes: As one of the health benefits of apple cider vinegar, studies have reported apple cider vinegar can decrease blood glucose levels in patients with type 2 diabetes. One study in 2004 reported apple cider has similar activity as metformin or acarbose, both antidiabetic drugs.